From initial concept through to installation, we design and make original and period stained glass using traditional techniques and materials. Whatever the brief we use all our skills and experience to create work that fulfils its intention and vision. From a small in situ repair to a large restoration project we have the skills available to undertake a range of work whether it's site based, in the studio or both. Expertise ranges from traditional glass painting to heritage glazing. Our stainless steel wire guards are made from grade 304 stainless steel mesh, traditionally configured (3" x 1/2" x 12 S.W.G.) with stainless steel edge beading and are finished with a high quality black powder coat. All screws and fixings stainless steel. 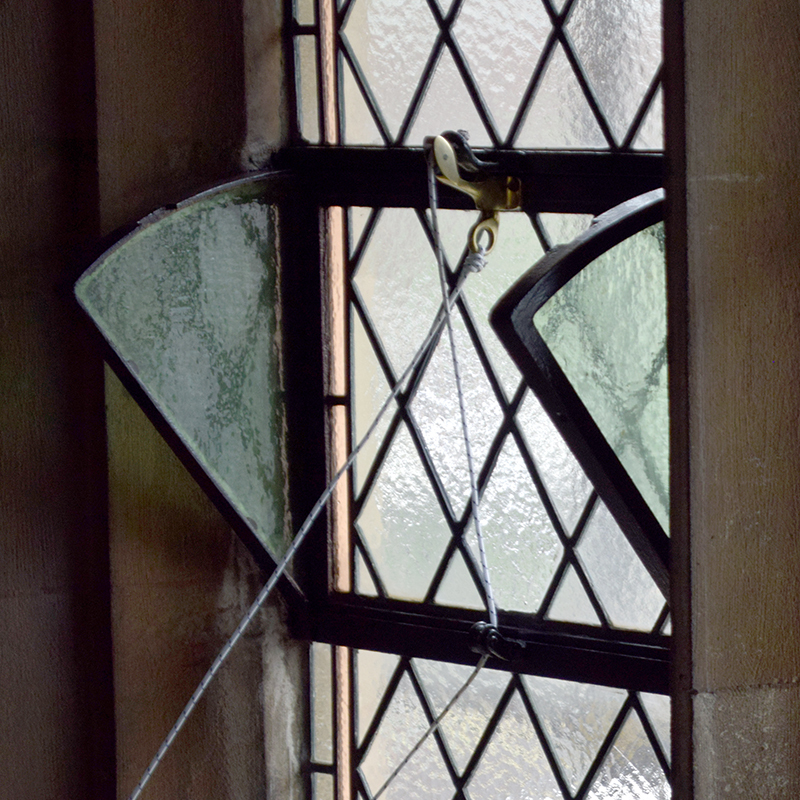 Each main light and tracery shape is protected individually where possible.